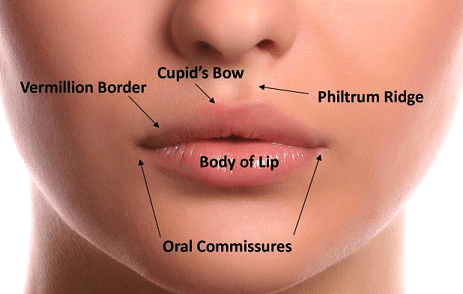 With the use of dermal fillers, it is possible to redefine the shape of the lips, make them appear fuller, enhance the cupids bow area and treat the fine lines surrounding the lip area. During the consultation, your practitioner will discuss your expectations and help decide the treatment option that is best for you. If suitable, a small amount of product from the Teosyal®, Radiant Derm Dermalax, range is injected into the lips or surrounding skin to provide the desired effect. TEOSYAL® is a range of injectable fillers, by TEOXANE Laboratories, it’s used to smooth away wrinkles and define facial contours providing beautiful results. Teosyal® is a hyaluronic acid based, designed to help support the skin in every movement, and to preserve the brightness and softness of your face. This product is suitable for the most mobile areas of your face: perioral area, cheeks, nasolabial folds, and lips. Teosyal®Kiss is a lip enhancer that plumps up deflated lips for a natural look. Q.How long does the appointment take? The full appointment is quick it takes between 30-45 minutes. Immediately after the treatment, lips can appear red and swollen. This can take a few days to subside therefore it is best to schedule treatment at least a couple of weeks prior to a social event. Q.How long after lip fillers can I wear lipstick? We recommend that you avoid applying anything to your lips for the first 12 hours including make-up, Vaseline and lip balm. Q.Can lip fillers look natural? Of course! Lip fillers can be as subtle or dramatic as you like. We aim to create a look that is perfect for you. Q.How long do they last? We use a high-quality filler that can last roughly between 6 to 12 months. The exact amount of time can vary based on the individual. Your lips are natural one of your bodies most sensitive areas. We use a numbing cream to reduce the pain as much as possible. The treatment could be classified as sometimes uncomfortable rather than painful. Q.Can I take painkillers before my treatment? We ask that you please do not take painkillers prior to your appointment or for 48 hours after your appointment. In the unlikely event that after having the lip fillers you are in excessive pain or experience a strong burning sensation n your lips we recommend that you contact us and/or seek professional medical advice. Q.Is everyone eligible to have lip filers? Q.Can I smoke or drink Alcohol after lip fillers? We highly recommend avoiding doing both for 48 hours after your treatment. Drinking alcohol can increase the likelihood you will suffer from bruising. Esteem Beauty would like to remind customers that if suffering from a cold sore at the time of a treatment Esteem Beauty will not be able to perform said treatment. This will result in Esteem Beauty retaining the deposit to cover the cost of the missed appointment.